The Absentee Ballot application must either be personally delivered to your county board of elections no later than the day before the election, or postmarked by a governmental postal service no later than 7th day before election day. Mail or deliver your registration form at least 25 days before the election you want to vote in. 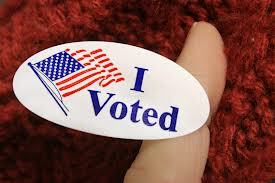 Your County Board of Elections will notify you that you are registered to vote. The annual election in the Village of Millbrook, New York, for the election of two (2) Village Trustee positions shall be held and conducted in the fall of the year 2010 and for the Mayor and the other two (2) Village Trustee positions of the year 2011 and every four years hereafter, coincident with the general fall elections held in accordance with and as provided by the federal election laws and the Election Law of the State of New York and any amendments thereto changing or varying the date of general fall elections. Mayor; election, term and compensation. The Mayor shall be elected by voters of the Village of Millbrook at large to serve for a term of four years beginning January 1 next following his or her election. He or she shall be a resident and registered voter of the Village of Millbrook. The Mayor shall be elected at the general election in the year 2011 and every four years thereafter. The Mayor shall receive such compensation as fixed by ordinance adopted by the Village of Millbrook at any time. The Board of Trustees shall be elected by voters of the Village of Millbrook, at large to serve for a term of four years beginning April 1 next following his or her election. He or she shall be a resident and registered voter of the Village of Millbrook. The two (2) Trustee positions terms of office expiring in 2011 shall be elected at the general election in the year 2011 and every four years thereafter. The other two (2) remaining Trustee positions terms of office expiring in 2010 shall be elected at the general election in the year 2010 and every four years thereafter. The Trustees shall receive such compensation as fixed by ordinance adopted by the Village of Millbrook at any time.